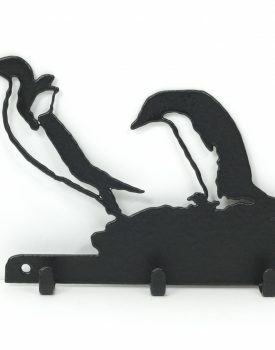 A fun new Penguin ornament to add to your collection, a weebogle penguin. The name comes from a creature in folklore. A bogle is a household spirit whose only purpose is to mystify its human neighbours. Please note that each weebogle is created by hand on the potter’s wheel, handi painted and fired in an electric kiln to 1120 degrees centigrade.